My central research interest is in the cognitive science of reading and language processes. The research spans lower and higher level processes and the nature of reading ability and second language processes. My approach involves multiple research methods in behavioral, ERP and fMRI labs. The general goal is to achieve a richer view of language processes by the combination of methods. Ben-Yehudah G., Hirshorn E. A., Simcox T., Perfetti C. A., & Fiez J. A. (2018). Chinese-English bilinguals transfer L1 lexical reading procedures and holistic orthographic coding to L2 English. Journal of Neurolinguistics. Chang, L-Y, & Perfetti, C. A. (2018). Visual factors in writing system variation: Measurement and implications for reading. In H. K. Pae (Ed. ), Writing systems, reading processes, and cross-linguistic influences: Reflections from the Chinese, Japanese and Korean languages. Amsterdam/Philadelphia: John Benjamins. Chen, L., Perfetti, C. A., Leng, Y., & Li, Y. (2018). Word superiority effect for native Chinese readers and low proficiency Chinese learners. Applied Psycholinguistics, 1-19. Yang, C. L., Perfetti, C. A., Tan, L.-H., & Jiang, Y. (2018). ERP Indicators of L2 proficiency in word-to-text integration processes. Neuropsychologia, 117, 287-301. Verhoeven, L., & Perfetti, C. (2017). Learning to read across languages and writing systems. Cambridge: Cambridge University Press. Chang, L-Y, Chen, Y.C., Perfetti, C.A. (2017). GraphCom: A multi-dimensional measure of grapheme complexity: A comparison of 131 written languages. Behavioral Research Methods. Perfetti, C. A. (2017). Lexical quality revisited. In E. Segers & P. van den Broek (Eds. ), Developmental perspectives in written language and literacy. Amsterdam: John Benjamins. Stafura, J. Z., & Perfetti, C. A. (2017). Integrating word processing with text comprehension: Theoretical frameworks and empirical examples. In K. Cain, D. Compton, & R. Parrila, (Eds.) Theories of Reading Development. Calloway, R., & Perfetti, C. A. (2017). Integrative and predictive processes in text reading: The N400 across a sentence boundary. Language, Cognition and Neuroscience. Cao, F., & Perfetti, C. A. (2017). Neural signatures of the reading-writing connection: Greater involvement of writing in Chinese reading. PlosOne 11(12): e0168414. Chen, L., Fang, X., & Perfetti, C. A. (2017). Word-to-text integration: ERP evidence for semantic and orthographic effects in Chinese. Journal of Neurolinguistics, 42, 83-92. Fang, X., & Perfetti, C. A. (2017). Perturbation of old knowledge precedes integration of new knowledge. Neuropsychologia, 90, 270-278. Perfetti, C. A. & Harris, L. (2017). Learning to read English. In L. Verhoeven & C. A. Perfetti (Eds. ), Learning to read across languages and writing systems. Cambridge University Press. Nelson, J. & Perfetti, C. A. (2016). Eye movements reveal readers' lexical quality and reading experience. Special Issue of Reading and Writing: An Interdisciplinary Journal. Harris, L., & Perfetti, C. A. (2016). Lexical stress and linguistic predictability influence proofreading behavior. Frontiers in Psychology, 7(96). doi: 10.3389/fpsyg.2016.00096. Stafura, J. Z., Rickels, B., & Perfetti, C. A. (2015). ERP evidence for memory and predictive mechanisms in word-to-text integration. Language, Cognition and Neuroscience, 30(10), 1273-1290. Elgort, I., Perfetti, C. A., Rickles, B., & Stafura, J. (2015). Contextual learning of L2 word meanings: Second language proficiency modulates behavioural and ERP indicators of learning. Language, Cognition, and Neuroscience, 30(5), 506-528. DOI: 10.1080/23273798.2014.942673. Guan, C. Q., Harris, L. N., Meng, W., & Perfetti, C. A. (2015). Writing quality predicts Chinese learning. Reading and Writing: An InterDisciplinary Journal, 28, 763-795. Olulade, O. A., Jamal, N. I., Koo, D., LaSasso, C. J., Perfetti, C. A., & Eden, G. (2015). Neuroanatomical evidence in support of the bilingual advantage theory. Cerebral Cortex, 1-9. Distinguished University Professor of Psychology and LRDC Director Charles Perfetti has been elected to the Federation of Associations in Behavioral & Brain Sciences (FABBS) "In Honor Of...” program. The “In Honor of..." program recognizes eminent, senior scientists who have made important and lasting contributions to the sciences of mind, brain, and behavior. Only two other University of Pittsburgh faculty members have been honored in this program, Robert Glaser and Lauren Resnick, making a trifecta of LRDC directors honored by FABBS. Charles Perfetti was awarded the Distinguished Scholar award by the American Educational Research Association (AERA) Special Interest Group (SIG): Research in Reading and Literacy for his outstanding contributions to research in reading and literacy. 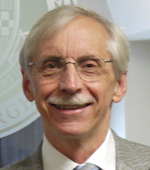 LRDC Director Charles Perfetti is among the top ten Highest Cited American Scholars in the field of Education. Chuck is the most influential in the area of reading. Former LRDC faculty member Micki Chi is also a member of this distinguished group for her work in instructional design. LRDC Director Charles Perfetti has been honored with the 2014 Distinguished Scientific Contribution Award from the international Society for Text and Discourse. The "Reading Honors" column on page 5 of Pitt Magazine, winter issue, describes his research in language and reading processes, and the criteria for the award. LRDC Director, Charles Perfetti, was mentioned in the latest issue of the Pitt Chronicle for becoming a fellow in the Society for Text and Discourse. Reading - From Words to Multiple Texts, celebrates the impact of Charles Perfetti's research on reading and text comprehension and acknowledges his mentorship of the scholars who contribute to the increasing knowledge base about reading processes.